Re: SBI clerk last 4 years previous years question papers with answers? Hlo , myself Devinder Thakur . I want 5 years old post clerk question and answer key . My E-mail Id is [email protected] . If u can send me I always be thankful to you . SBI clerk last 4 years previous years question papers with answers? Dear Sir, my name is prajakta.I want syllabus of gk section. Look at the sbi exam syllybus and prepare according to that. This is how ur gona get through your sbi exam. Boomer. Good luck. sir i am harini. i want last 5 years clerk examination question paper with answers.please send me by mail [email protected] please help me. thank you. I have attached some of the previous year model papers of SBI Clerk exam in this post for your reference.. kindly check it over.. hope it helps for your preparation..
-> To know about the latest recruitment process in SBI bank online CLICK HERE!!! -> There are many books available in the market which helps you to prepare for the exam. 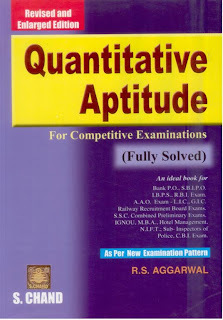 -> Try to buy the recommended books and prepare for the above sections mentioned, then for sure you can easily clear the exam..
sbi clerk last 4 years previous years question papers with answers?...please drop me on my account. sir i want download SBI CLERK last4 years previous paper& answer please send me on my id.and last 4 month current affairs and marketing.and computer question which may be come in SBI clerk exam.please help me. Sir, please send me the last 5 years SBI clerk exam question papers with answer to my mail. my mail id is [email protected] Thank you sir. sir i m Rupan Paul and i need last 5 years question papers solved of sbi clerk.my email id is [email protected], send it as quick as possible. sir i want download SBI CLERK last4 years previous paper& answer please send me on my id.and last 4 month . marketing.and computer question which may be come in SBI clerk exam.please help me. i want solved SBI model papers. sir,i am avik.I want last 5 years question papers with answers of SBI clerk exam.Please send this by mail at [email protected] please help me.Thank you. then you will be eligible for SBI CLERK examination. 1.You must complete your 12th standard examination. 2.Your age must be within 18 to 28 years. 3.You should not have any pending backlogs. sir i am sourav. i want last 5 years clerk examination question paper with answers.please send me by mail [email protected] please help me. thank you.